Snowflake spent all last night reading from the new dog shaming book to his mommy Dyana that they could barely keep their eyes open this morning! 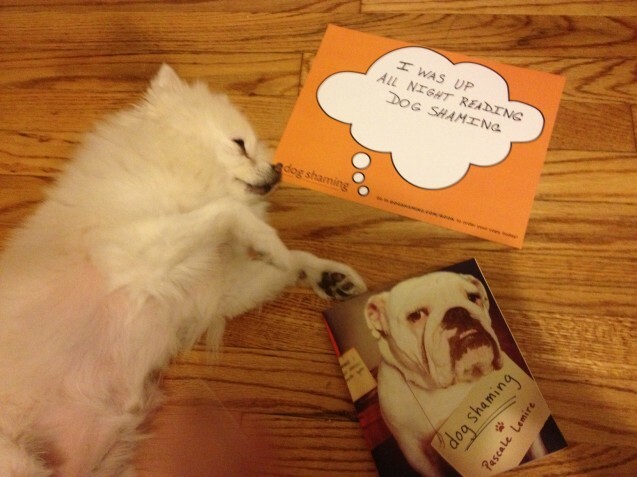 Check out mom’s official dogshaming.com sign! Wanna know how she got it; by preordering the book! Posted September 14th, 2013 . Nothing like a good book to keep you up all night.